Anne Isabella Thackeray Ritchie. 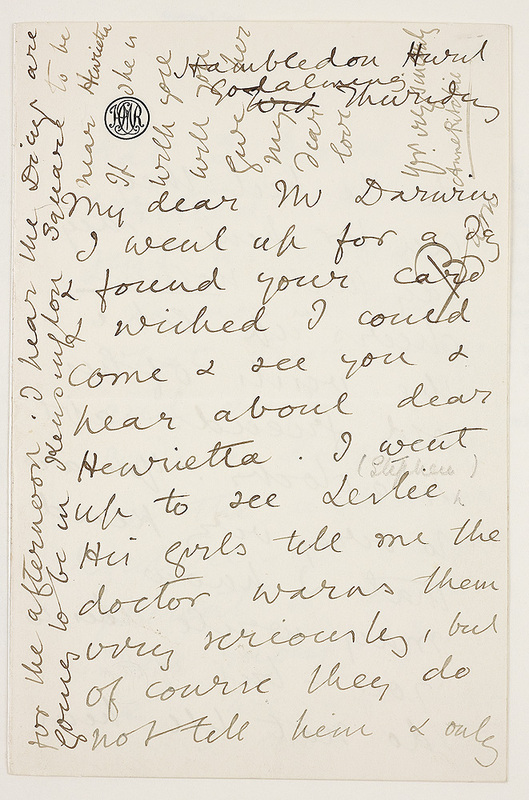 Letter to Mr. Darwin, . Presented by Frances Hooper ’14. 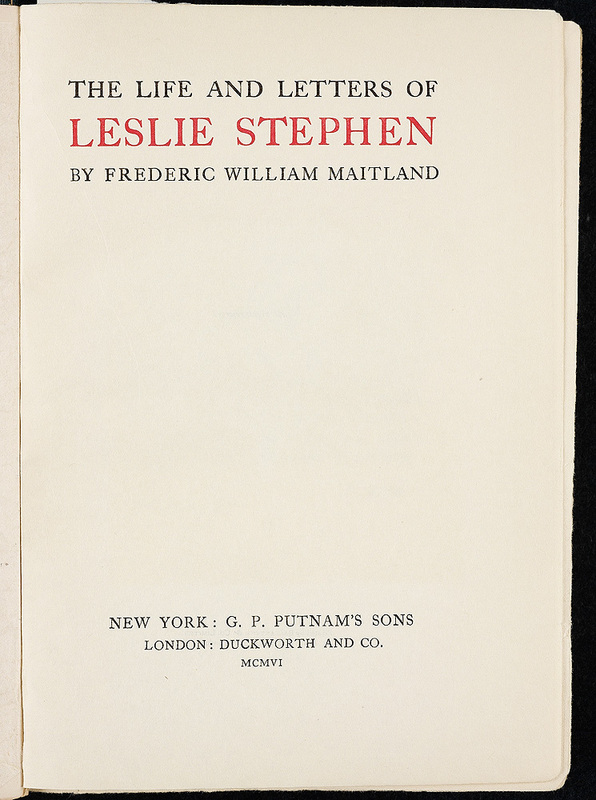 At the end of his life Leslie Stephen thought he was a failure: “I have scattered myself too much ... with journalism and dictionary making, I have been a jack of all trades.” But according to Maitland’s biography, Stephen was recognized by society at the end of his life. Some of his honors included an honorary LL.D. 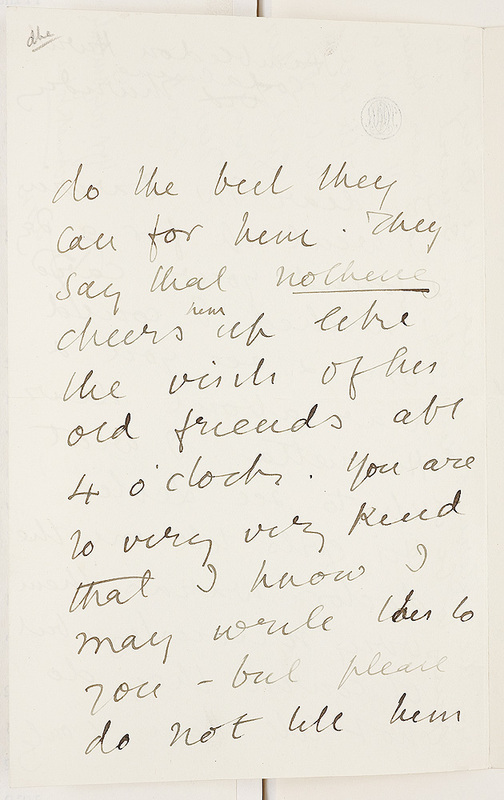 from Edinburgh in 1885, and another from Harvard in 1890; an honorary Litt.D. from Cambridge in 1892, and another from Oxford in 1901; he was a corresponding member of the Massachusetts Historical Society in 1895, and on the occasion of King Edward VII’s coronation, Stephen was made K.C.B. Frederic William Maitland. The Life and Letters of Leslie Stephen. New York: Putnam; London: Duckworth, 1906. Presented by Elizabeth P. Richardson ’43. 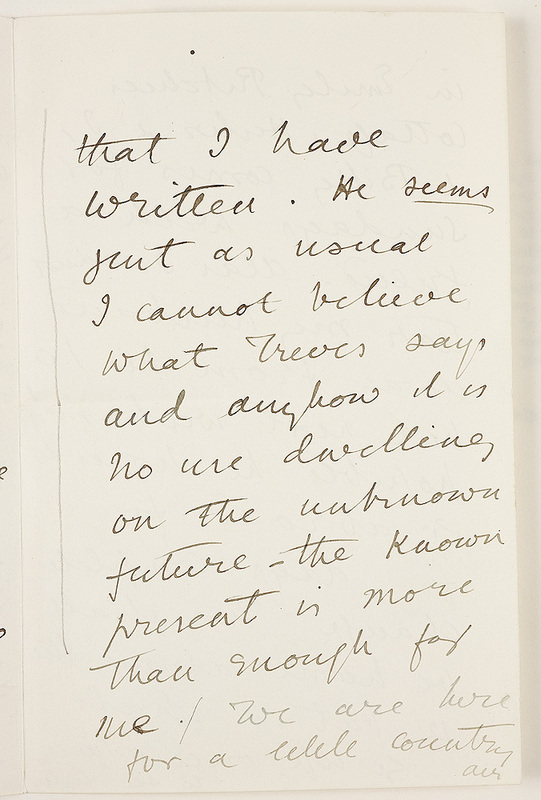 After Leslie Stephen’s death, Virginia Woolf wrote some impressions of her father for “The Sunset” chapter of Frederic Maitland’s biography. 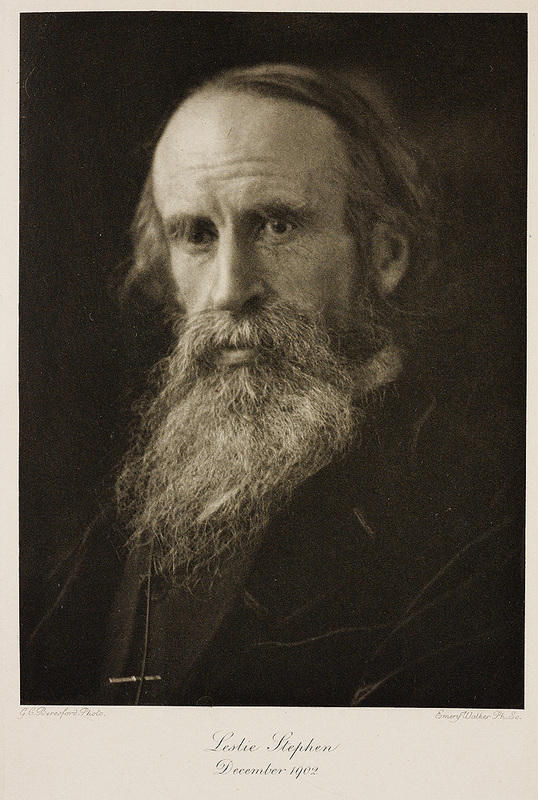 “Every evening we spent an hour and a half in the drawing-room, and, as far back as I can remember, he found some way of amusing us himself ... many of the great English poems now seem to me inseparable from my father; I hear in them not only his voice, but in some sort his teaching and belief.” One of George Beresford’s photographs of Leslie Stephen illustrates the text. 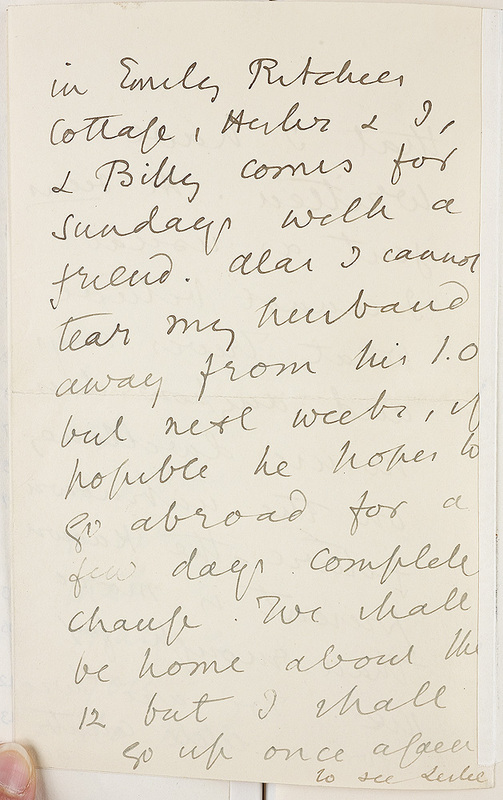 Woolf suffered a mental breakdown after the death of her mother in 1895, and again when her father died in 1904.